With a vine of over 80-years old, Sporen is the last Grand-Cru to join Bott-Geyl’s family in 2012. 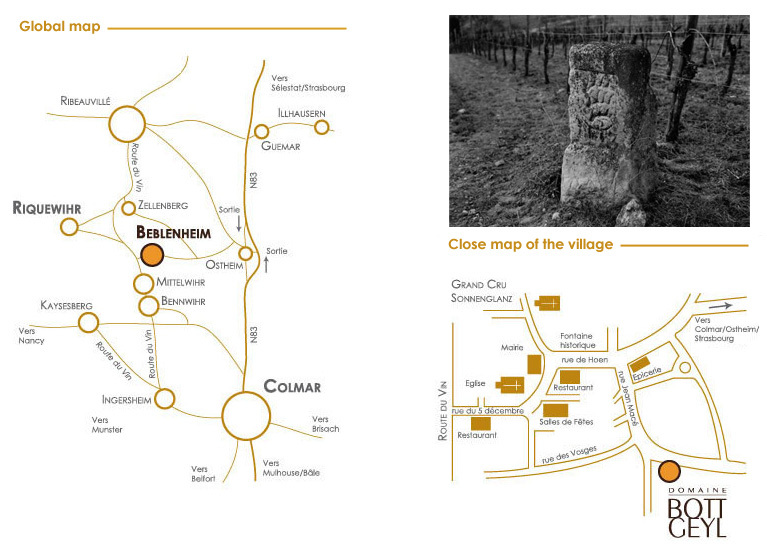 The area of the vineyard is 23.70 hectares at an altitude of around 275 metres. This natural circle faces South/South-East and is protected from the period of drought during years with low rainfall. The soil is made of lias clay-marl decalcified on the surface which is propitious for Riesling and Gewurztraminer and gives complex wines with intensity and elegance.